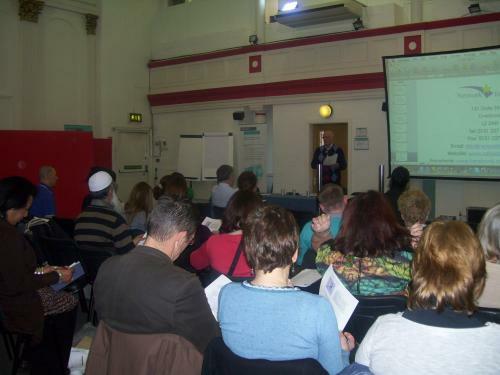 On 18 January 2012 Network for Europe held an information event targeted at voluntary and community sector organisations about accessing funds from the European Union in the North West through the current and future European Structural fund programmes. European funds still account for many millions of pounds that reach voluntary and community sector organisations every year. In tighter economic times it is more important than ever to maximise these. The event considered opportunities still available to voluntary sector organisations in the current programme both through the European Social Fund and the European Regional Development Fund. Guest speakers included Tony Venables, director of the European Citizens Action Service who gave some excellent tips in accessing European funds and ways and means of involving citizens and civil society in the EUi future Cohesion Policy. Stephen Cox from Urban Economics and Regeneration spoke about financing local employment through Local Employment Initiatives and the use of Social Finance. Ian Hill, the UK contact Point for Interreg NW Europe provided an overview of the Interreg programme looking at current opportunities to get involved and also how the programme is going to look like in the future. Andy Churchill and John Hacking were also on hand to present current and future opportunities from ESFi and ERDFi.